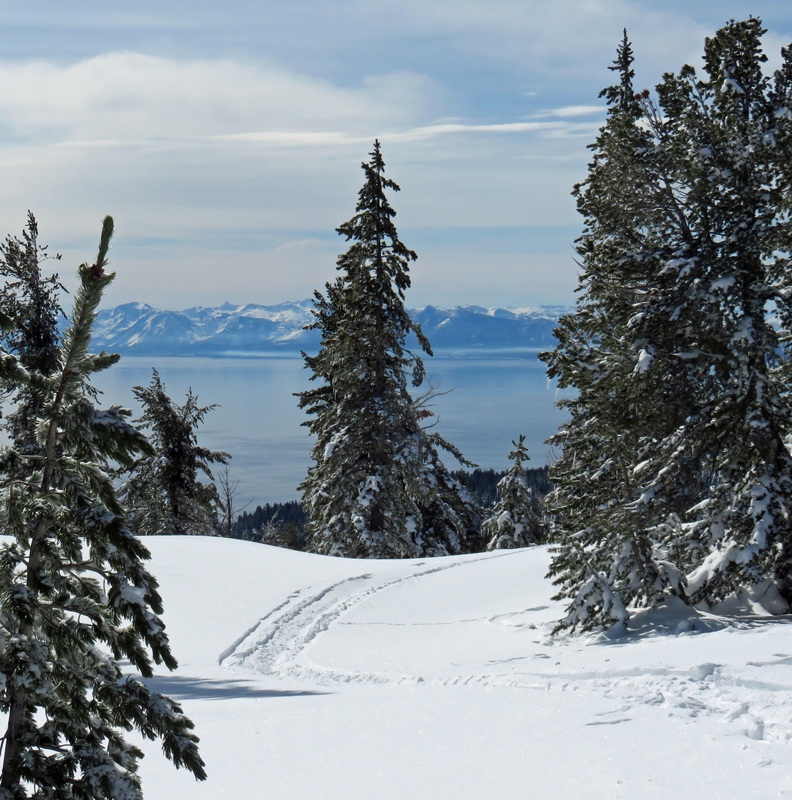 Enjoy a California day hike or Inn to Inn hiking vacation this holiday season. 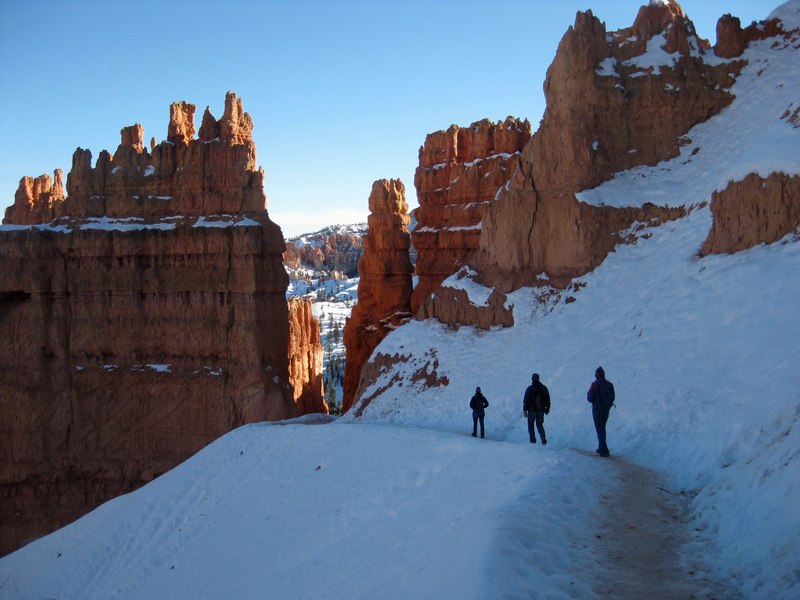 Spark a hiking vacation like the ones below with the outdoor lovers in your life this holiday season. Order vacation guides today in time for Christmas and Hanukkah at WalkaboutCalifornia.com. Walkabout Northern California: Hiking Inn to Inn. Join in discussions on inn to inn hiking around the world. Like Walkabout California on Facebook for ideas and beautiful photos on California hikes, inspirational quotes, and fun news about science and adventure for the outdoor enthusiast. The holiday season reminds us of our gratitude to the thousands of people from around the world who have purchased our guides and books and taken to the trails to make California hiking from inn-to-inn a reality. Happy Holidays! Hike rocky shores below steep cliffs, unpopulated secluded beaches, and popular Southern California strands on this 3-day, 32-mile Walkabout. Wildlife abounds. Flocks of shorebirds feed in the bountiful waters along the Pacific Flyway. Harbor seals and sea lions rest on rocky outcroppings. Dolphins glide by, black dorsal fins cresting with each breath. Watch the gray whale migration from towering Pt. Dume. Enjoy fun inns and great dining. Read more. Hike the coastal bluffs and forests of America’s western edge. 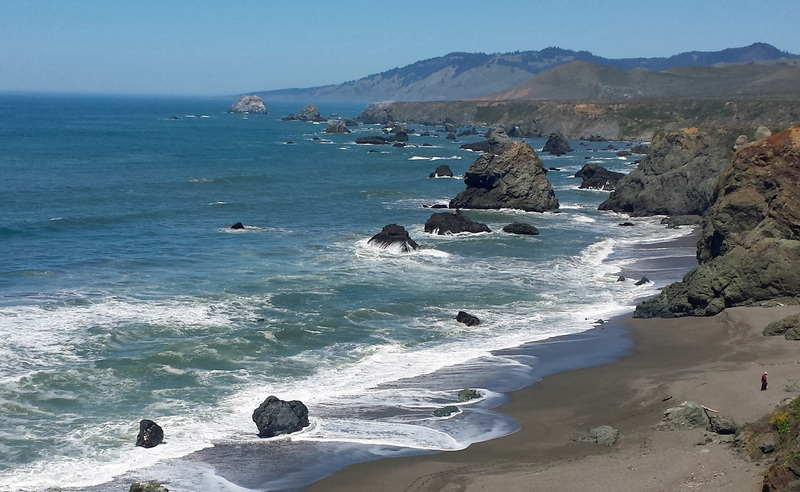 This moderate 41-mile, 4-day Walkabout starts in Marin Headlands and hikes to Point Reyes National Seashore. The trail passes through three coastal hamlets: Muir Beach, Stinson Beach, and Bolinas, each offering elegant inns and wonderful cuisine. 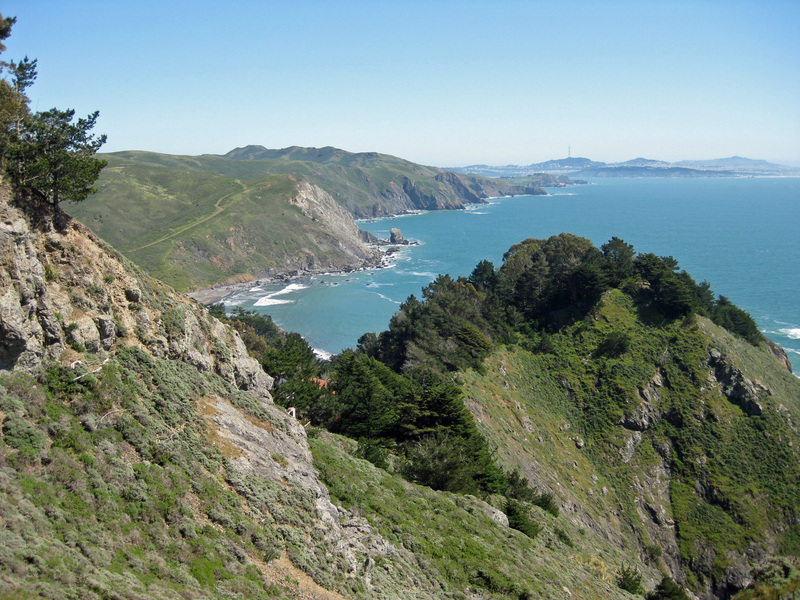 Walk the trails of the Coast Miwok and a stretch of California’s wild and beautiful coast right at the doorstep of the San Francisco Bay Area. Read More. Copyright © 2016 Walkabout California, All rights reserved. Come celebrate the launch of Walkabout Malibu to Mexico: Hiking Inn to Inn on the Southern California Coast this Sunday, September 14 from 5 – 7pm at Sports Basement Crissy Field. Enjoy the best time of year in San Francisco with a day in San Francisco’s Presidio, and then join us for happy hour with free beer, snacks, and a virtual inn-to-inn hiking vacation along 200 miles of glorious Southern California coastline. Register Here. And end your day with a celebration of Walkabout Malibu to Mexico. You'll leave feeling like you've been on vacation. The Walkabout Malibu to Mexico vacation guidebook makes it easy to plan and enjoy self-guided inn-to-inn hikes along 200 continuous miles of magnificent coastline from north of L.A. to the border with Mexico. Stroll seductive beaches. 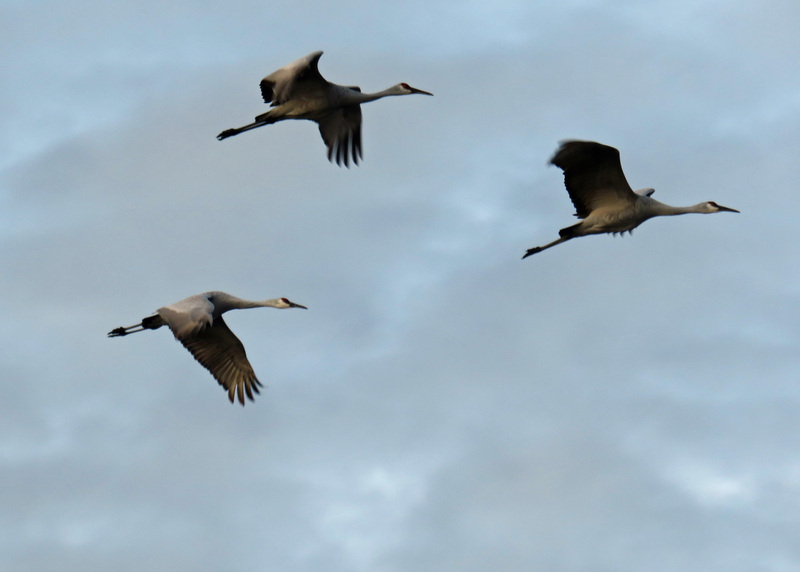 Explore wildlife preserves teeming with shorebirds along the Pacific Flyway. Hike the coastal bluffs and rocky shores of isolated peninsulas. 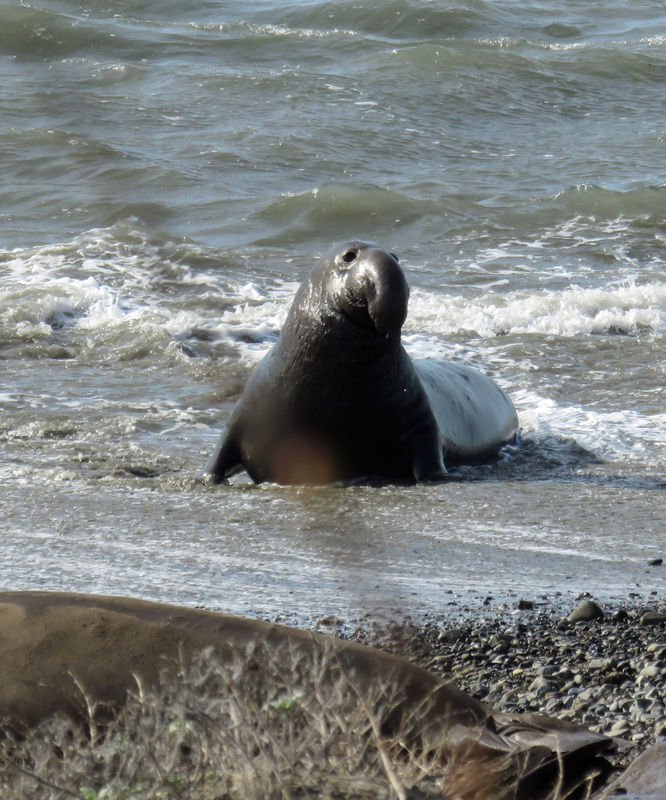 Walk miles of secluded shorelines where your only companions may be migrating whales, pods of dolphins, harbor seals, and sea lions. Discover crystalline coves and pocket beaches. Enjoy charming coastal villages, great art scenes, wild people-watching, fun nightlife, and delightful inns. The book is now available on our website, www.WalkaboutCalifornia.com, Amazon, and soon at a bookstore near you. Thanks for your support! We look forward to hearing about the fun you have hiking from inn to inn. Tom will also be speaking at the REIs below in September. The shows are free, but sign up in advance at the store’s website to get a seat. All the shows start at 7:00. See you there! Sold out, but often spaces become available, so get there early. Visit our Events Page for up to date info on Walkabout talks and slideshows. 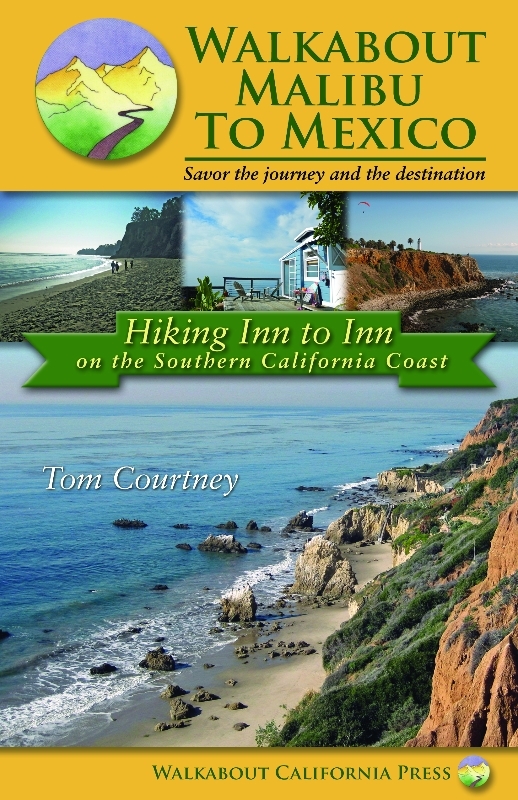 Walkabout Malibu to Mexico – Hiking Inn to Inn on the Southern California Coast will hit the bookstores in August. Pre-order the book now at Walkabout California.com and receive a free digital guide to an individual inn-to-inn hiking vacation of your choice. Then look for your signed copy of the book in the mail in August. 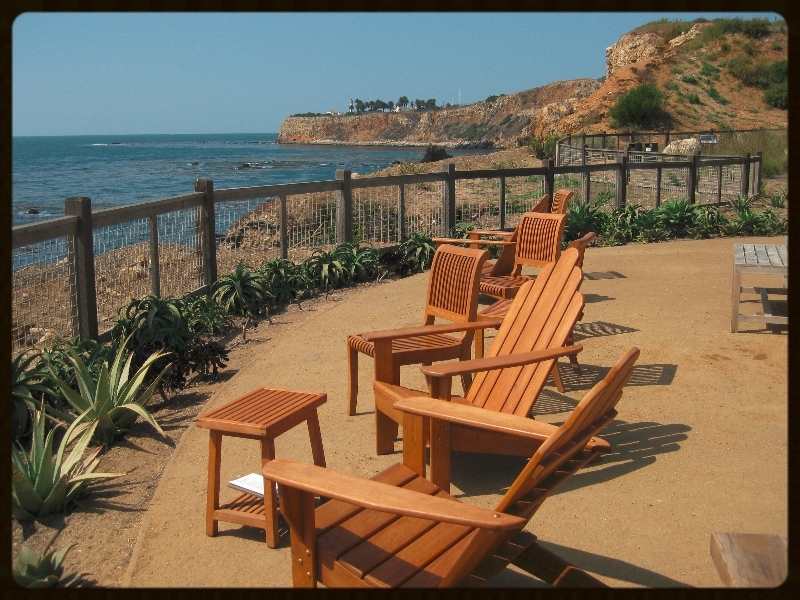 The Walkabout Malibu to Mexico vacation guidebook makes it easy to plan and enjoy self-guided inn-to-inn hikes along 200 continuous miles of magnificent coastline from north of L.A to the border with Mexico. Stroll seductive beaches. Explore wildlife preserves teeming with shorebirds along the Pacific Flyway. Hike the coastal bluffs and rocky shores of isolated peninsulas. Walk miles of secluded shorelines where your only companions may be migrating whales, pods of dolphins, harbor seals, and sea lions. Discover crystalline coves and pocket beaches. Enjoy charming coastal villages, great art scenes, wild people-watching, fun nightlife, and delightful inns. Tom will be speaking at the REIs below this summer. The shows are free, but sign up in advance at the store’s website to get a seat. All the shows start at 7:00. See you there! Also planning your trip? Have you hiked the Camino? Please join in the conversation. 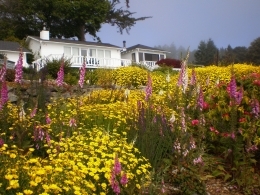 The days are short and cool, but our thoughts turn to springtime walkabouts – hiking inn-to-inn along the Marin or Mendocino coasts or in Point Reyes, staying in a B&B perched on a bluff overlooking the wild Pacific, dining on the fresh catch-of-the-day in a charming coastal village, exploring some of the most beautiful wilderness in the world. It is time to start planning a spring adventure. Looking for a holiday gift for a hiker? 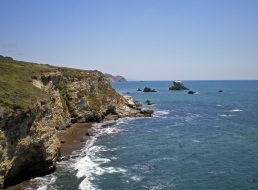 Come to WalkaboutCalifornia.com for “Walkabout Northern California – Hiking Inn to Inn”. Susan Alcorn, author of “We're in the Mountains Not over the Hill: Tales and Tips from Seasoned Women Backpackers" and "Camino Chronicle: Walking to Santiago", publishes a no-frills monthly e-newsletter filled with great information about hiking trails, state and national park updates, hiking books, book presentations, equipment advice, hiking club events, and much more. 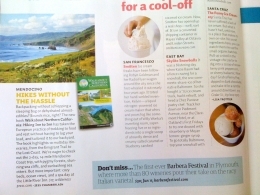 Bay Nature, a magazine dedicated to “Exploring Nature in the San Francisco, Bay Area,” has a nice review of “Walkabout Northern California – Hiking Inn to Inn” in its October-December 2011 issue. The guidebooks warn of the fierce weather in Galicia. Storms blow in from the Atlantic bringing wind, cold, rain, and snow. But, the weather for us, in late October, is ideal for hiking - crisp, cool mornings; warm, sunny afternoons. In fact, I had only taken my rain jacket out twice during the six week pilgrimage because of slight drizzle. Now, with the short autumn days, the leaves of oaks, maples, and chestnuts are turning yellow and orange. We hike on narrow trails cut deep through the dense woods, sometimes fifteen feet below the forest floor. Walls along the paths may be constructed of ancient stones or they may be solid earth held in place by deep roots. It seems the route has been worn down by the foootsteps of millions of pilgrims over 13 centuries, the boots of Roman legions before that, and the tracks of Celts going back to the iron age and the 8th century B.C. We entered Santiago, passed by dozens of aged churches, entered the old city, checked into a hotel, and visited the pilgrim office. The officials inspected our ¨credential del peregrino,¨ the document that every pilgrim carries. Hostals, albergues, cafes, bars, and churches along the route stamp the pilgrim´s passport. This verifies that the pilgirm has made the journey. We were issued a scroll, a compostela, written in Latin. Our names - Adelaidem (Heidi) and Thomam. There are several pilgrimage routes that all end in Santiago. A pilgrim must hike the final 100km or bike the last 200 in order to receive the compostela. The officials told us that it is now the slow season and only 150 pilgirms a day finish the journey. During the summer, the number swells to 1,500. Over the first ten months of 2011, 170,000 peregrinos completed their pilgrimage! The next day we entered the grand catherdral for the pilgrims mass. It was the most fun I have ever had in church. The knave of the massive structure is formed by 14 five storey Romanesque arches, but the decor is very Baroque. Brightly painted wooden carvings of angels, cherubs blowing trumpets, and warriors on charging steeds with lances raised, support organ pipes stretching 30 feet to the ceiling. Behind the altar, 20 foot high angels, guilded in gold, hold up a platform with giant maidens and Roman soldiers. St. James, Santiago, is shown in his many forms: a simple pilgrim, the Moor Slayer on horseback with sword raised, and in the center - seated on a throne bedecked with gold and jewels. The bishop, wearing a miter, led the mass with a supporting cast of eight priest wearing white vestments and the red cross of Santiago. A nun with the voice of an angel led us in song. A giant incense burner, the botofumeiro, hung from a pulley at the ceiling by thick rope. At the conclusion of the ceremony, a cluster of robed churchmen pulled on the rope in unison while one of their members gave it great shoves. It swung back and forth across the long transept in a grand arc. These guys have one the best jobs in Christendom. The sweet smell of incense filled the catherdral. Then, the pilgrims milled around greeting friends they made along the trail. The Camino de Santiago de Compostela teaches many lessons. This is a topic of intense interest for pilgrims along the trail. One cannot walk the Camino and be unchanged. I think I will be processing what I have learned for many months, but here are a few lessons. Solitude, community, and empathy. The pilgrim walks alone - long days for hundreds of miles at two miles an hour with endles hours of contemplation, but the shared experience and quest creates a deep community and caring for your fellow pilgrim. There is great joy in the simplicity of the pilgrim´s life. You are carrying all your possessions, and you don´t want to add any more. So, the pilgrim is divorced from the market economy. She is single-tasking, rising in the morning and walking with only a few decisions to make - where to spend the night and to eat. There is clarity of the day´s purpose and accomplishment. What a change from our modern lifestyle. What a wonderful gift. 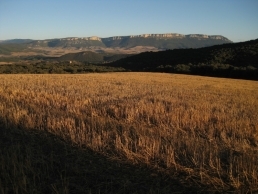 You'll find previous posts from Tom's Camino pilgrimage below. Click here to check out the full Walkabout El Camino blog. I entered the city of Logrono at the beginning of the week-long Fiesta de San Mateo, which is also the harvest festival. After checking into an albergue, I went to the central Plaza del Mercado, and festivities were in full swing. Men and women in traditional peasant dress stomped grapes in large wooden barrels. Fires roared in the square roasting large cuts of lamb. I joined a long line and for 3 euros ($4), I bought a plate of lamb, bread, and a decanter of vino tinto. Then I joined hundreds of revelers at long tables. Before I could finish my wine, my glass was filled again from a neighbor´s bottle. Later I found a precious seat at a sidewalk cafe along the fashionable Calle de Portales to watch the show. Promenaders packed the street - young families with babies in strollers, elegantly dressed urban ladies in silks, and scarfs, young lovers in t-shirts and jeans walking hand-in-hand. Brass bands paraded through the crowded street carrying 20 foot high paper mache figures of animals, kings, dragons, Jesus, Mary and St. James. I headed down to the park along Rio Ebro and rested, for the party was only beginning. That night, every small plaza had a stage with a raucous punk band, a children´s choir, or traditional music from northern Spain. Vendors set up shop, bar-b-quing lamb, pork and rabbit, and selling beer and wine. It was fortunate that our albergue closed its doors and turned off the lights at 11:00pm. I was in bed early and ready the next morning to continue the trek to Santiago. I entered the narow, winding streets of the old city of Leon. It was the day of the festival of San Froilan y las cantaderas and a grand medieval faire filled the plazas with hundreds of booths selling roasted meats and octopus, pastries, sweets, jewerlry, soaps, perfumes, clothes, wood carvings, and tarot readings. People were dressed in renaissance costumes. There were jugglers, tumblers, and drum and recorder bands performing for the thousands of people crowding the streets. My wife, Heidi, arrived at midnight after a journey of four flights and 32 hours from our home in the San Francisco Bay Area. After 22 days and 300 miles of hiking solo, she would join me to hike the rest of the Camino. I waited for her in the small plaza across from our hotel. It was still hopping with celebrants spilling out of the bars that surround the square. Our hotel, Hostal San Martin, is an aged stone and wood stucture with a twelve foot high, heavy wooden door, undoubtedly older than any building still standing back in the Bay Area. Inside, it was modern and comfortable. It seemed a metaphor for Spain, a very modern country that has perserved its ancient architecture and heritage for tourists and its citizens to relish. We stayed in Leon for three nights, giving Heidi a chance to adjust to the new time zone and for me to rest. We explored the city, walking the banks of Rio Bernesga, and visiting the extraordinary and ornate gothic catherdral, the fanciful Gaudi designed Casa de Botines, and the Convento de San Marcos - the former mother house of the order of the Knights of Santiago, dating back to the sixteenth century. It is now a luxury hotel but preserved like an unguarded museum with a romanesque church, cloisters, gardens, and magnificent works of art. We roamed its ancient corridors, opening doors and finding stone passageways and narrow stairways to explore, hoping we would remember how to find our way out. At night, the people of Leon come to the old city to play. We joined them at sidewalk tables of tapas bars and restaurants serving sumptous grilled trout, roast lamb, and local red wines. Leon, with a population of 130,000 is the third largest city along Camino Frances after Pamplona and Burgos. It is the last large city we will visit until we reach Santiago. We departed rested and sated, eager to explore the mountains of Galicia and to hike the final 200 miles of el Camino de Santiago de Compostela. I have wanted to hike el Camino de Santiago de Compostela, the Way of St. James, ever since I read Paulo Coelho´s book The Pilgrimage more than a decade ago. Now, with the publication of Walkabout Northern California: Hiking Inn to Inn this spring, I decided to give myself the gift of a 500 mile trek across northern Spain. The legend of the Camino began in AD 813 when Pelayo, a religious hermit, heard the song of angels and followed a star to an ancient Roman mausoleum where he found the remains of St. James, one of Jesus´ apostles. His finding was confirmed by the local bishop and the Asturian King Alfonso the Chaste. Soon pilgrims flocked to the site as a form of penance and indulgence, a way to earn an entrance to heaven. The pilgrimage route flourished from the 11th to 13th centuries when towns, churches, monasteries, and services for pilgrims were established. As the centuries passed, many times there were very few pilgrims, but there was a rebirth in the second half of the 20th century, and the Camino was granted U.N. World Heritage status. Today, thousands of pilgrims hike the Camino each year. A web of trails lead to Santiago. I chose Camino Frances, leaving from St. Jean Pied de Port in the very south of France and in the heart of Basque country. The hike on the first two days crosses the Pyrenese into Spain. The hike on the first day climbs 1,900 feet along a one-lane, rural road, passing little farms. Small herds of cattle, horses, and sheep graze on the grassy mountainsides. Dense clouds formed a low ceiling, but after a few hours, I walked into the cloud and was enshrouded by it - cool, moist, and quiet. Cows would suddenly appear on the road, emerging in the mist a few meters ahead. 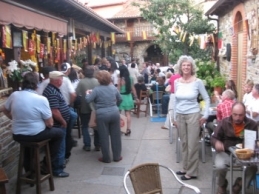 There are over 300 albergues or refugios - pilgirim hostels along the Camino. Arriving at Albergue Orisson, I joined pilgrims from all over the world, mostly from Europe, but also from New Zealand, Japan, Korea, Australia, and a few from the U.S. It was easy to meet and get to know other pilgrims. We share a common quest. The skies cleared on the second day, revealing vistas of green rolling mountains reaching to the horizon. Climbing another 2,600 feet, a gale force wind howled. There were no farms at this altitude. What a joy to hike in such wild country. The Pyrenese have been an almost insurmountable barrier, historically protecting Spain and France from each other, but the Holy Roman Emperor, Charlemagne, lead his army on this same trail and invaded Spain around 800. Napoleon did the same 1,000 years later. The trail passed into Spain and descended steeply into the Rio Urrobi valley where I joined 100 pilgims, spending the night at the Roncesvalles monastery. 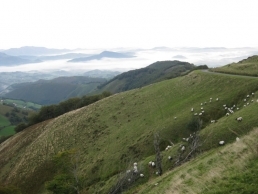 The hike from Roncesvalles to Pamplona took two days, climbing and descending the foothills of the Pyrenese. Most of the trail was on mountain paths, ascending to ridges and dropping into the valley of the Rio Arga, which the trail crossed and recrossed. Early in the morning, before dawn, I hiked with the north star to my back and Orion high overhead, passing through the ¨woodlands of the witches,¨ a dense beech forest. During the 16th century, it is said that covens of witches practiced their rituals in this forest and that several were burned at the stake. Pamplona is the first big city on Camino Frances. Originally a Roman outpost, it was founded in AD77 by Pompey the Great. The old city was walled, and the Camino enters Pamplona along a 60 foot wall of massive, ancient stones and through an arched gate with a draw bridge. After hiking 19 miles, I was tired, but I was quickly rejuvented by the energy of the city. The narrow, winding cobblestone lanes were alive with revelers on this Saturday night. Music and people spilled out of the bars and onto the street. I checked into the Jesus and Maria albergue, showered and went out to join the celebration. The massive Plaza del Castillo was crowded with cafe patrons, chasing children, and promenaders. The sun set and I made the rounds of taps bars - small plates of assorted morsels lined the bars. A beer and a slice of toasted baguette topped with ham and a quail egg along with a plate of papas fritas. Next stop, a glass of vino tinto with salmon sashimi on vegetable salad and how about a slice of toast with cheese and tomato. On the big screen our futbol team just scored a goal, and we all cheered. I staggered to bed at 11:00, exhausted, long before the celebration had started to slow down. Follow Tom's Blog as he continues on el Camino. Pamplona is the capital of Navarra, a semi-autonimous province, the south being more Castilian, the north, Basque. The Basque are a fiercely independent people. Linguists tell us that the Basque language, Euskara, is one of Europe´s oldest and has no know relationship to any other language. It is as if the basque people were always living on this land. Picasso´s painting, Guernica, portrays the bombing of the city, the horrors of modern war, and the savage repression of the Franco regime. The trail from Pamplona heads west, climbing 1,000 feet to Alto del Perdon and then descends into farm country - harvested cereal fields and vineyards heavy with deep purple grapes. Such beautiful country. Plowed fields of brown soil were dense with rocks, but this is a fertile land. Autumn gardens are rich with cabbage, onions, peas, and tomatoes. Orchards of figs, apples, and pears are heavy with fruit. I stopped for the night in a small village, Obanos, at a casa rurales. These are village houses and farms that offer rooms for pilgrims. My ancient hostess escorted me to my room. She was perhaps seventy and almost as wide as she was tall in a brown peasant dress with heavy wool socks and sandals. Her brown face and hands were weathered, and her black hair was twisted into a knot at her neck. She had a kind smile. She spoke no English, so we depended on my rudimentary Spanish and hand gestures, laughing at our confusion. ¨¿Esta es un mercado para fruta?¨ ¨No, mercado is cerrado. Es Domingo.¨ Of course it was Sunday. ¨No problema, gracias.¨ She left me and returned later with four beautiful peaches. Her house was old. My room was round with a smooth stone floor that slanted to the center where it looked like there was once a drain. The walls were plastered white, but sections of ancient stones were left exposed. Rough dark wooden beams supported the ceiling. An old barrel and a wine press were housed in an alcove. Perhaps this room was once used for pressing wine. I had a porch with a chair and table next to the garden and the chicken coop. That night I dined on a half a bagette from my pack and delicious peaches. Author Tom Courtney is hosting a book talk and signing tomorrow night, Thursday July 14th, in San Francisco. Tom will take us on vacation in the wild Sierra and along the dramatic coastline of California. Come enjoy a fun evening of stories, images of the world's wonders and sharing about inn to inn hiking in California and around the world. This will be Tom's last event in San Francisco before embarking on the ancient inn to inn pilgrimage route in Spain - El Camino de Santiago. Celebrate with us this Sunday: Walkabout Northern California, Tom's first book, is now on bookshelves around the world. 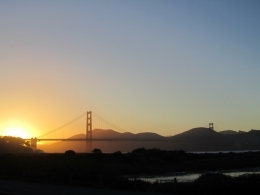 Enjoy a beautiful day in the Presidio and at Crissy Field. Fun things to do at Crissy Field: fly a kite, ride your bike, picnic, sunbathe on the beach, explore Fort Point, watch the surfers, sailors and kite boarders, enjoy the wildlife - we've seen herons, hawks, harbor seals and dolphins. Celebrate the summer with a day in the park in the glow of the Golden Gate Bridge, and then join us for happy hour. 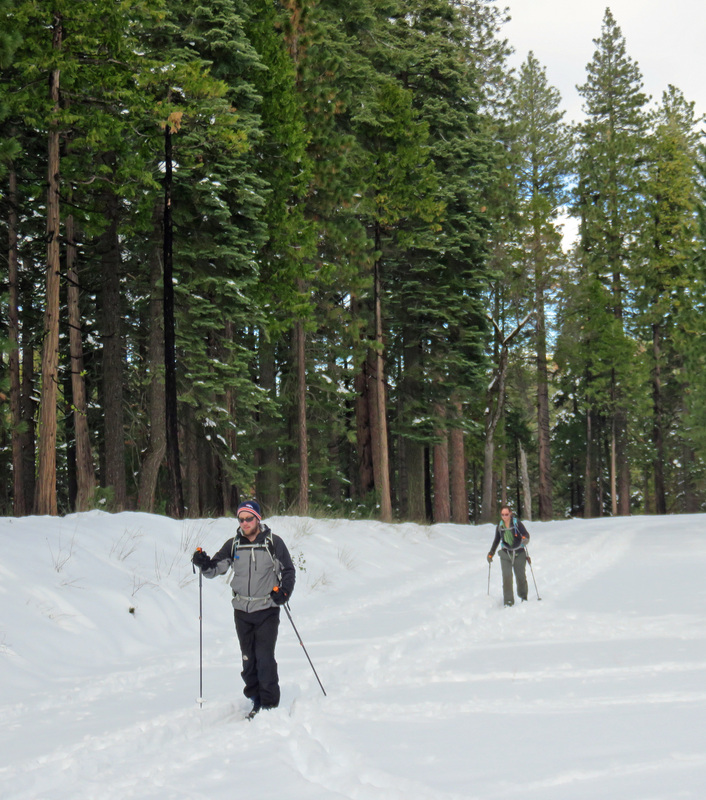 The snow is melting from the Sierra high country, and it is time to start planning an inn-to-inn hiking adventure. With the Truckee River Valley to the east, the deep gorge of the American River Canyon plunging to the west, and Lake Tahoe shimmering in the distance, this walkabout follows the spine of the High Sierra along the Pacific Crest Trail. A challenging 30-mile trek spread over three hiking days, it has two steep descents and one ascent of 1,900 feet. You’ll be rewarded with stopovers at mountain resorts in spectacular settings and the solitude and pristine beauty of the Sierra Nevada. What should I take on an Inn-to-Inn hike? We like to travel as light as possible. Check out the informative discussion at WalkaboutCalifornia.com about what to take on a walkabout. You’ll find great ideas about packs and equipment. Thanks to Walkabout member Eric Renger for bringing great suggestions and info on light-weight hiking to the discussion. Join us for the Grand Launch Party June 26– Free Beer! We're throwing a party! 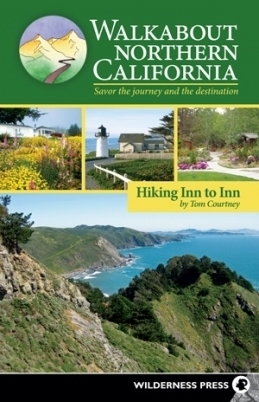 Walkabout Northern California-Hiking Inn to Inn is now on book shelves. We're going to celebrate the launch of the book on Sunday, June 26th from 5:30-7:30. Come join us at the Crissy Fields Sports Basement for free snacks and beer, fun people, and great pictures with stories of inn-to-inn hikes in California. Save the Date! Spring is here and the weather on the California coast is warming up. It’s a great time for an easy 14.1-mile two-day romantic holiday traipsing along the rugged and beautiful Mendocino Coast. 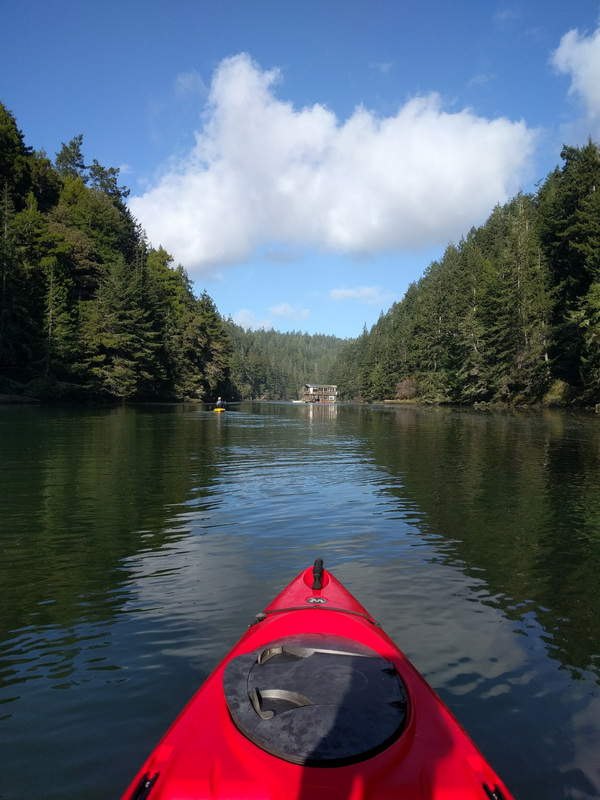 On the way, you will stay in charming inns, dine on sumptuous cuisine, and explore lush redwood forests of the coastal range and headlands along the edge of the wild Pacific. Stay at the Little River Inn and watch the setting sun from your private deck overlooking the Pacific. Relax with a soothing massage before dining at the Little River’s exceptional garden view restaurant. Hike along the wild coastal bluffs into Mendocino and savor its many pleasures—fine dining, taverns, inns, music, shops, and strolls along the headlands. 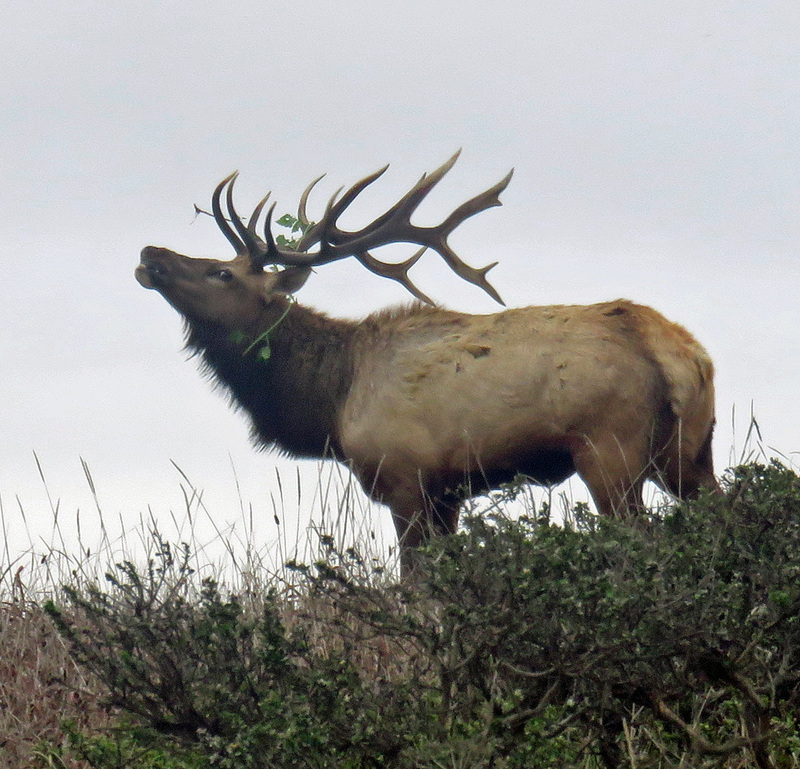 Explore the wild beauty of the Mendocino Coast at two miles an hour. Savor the journey and the destination. Check out the June issue of Sunset Magazine (page 26) for a sweet article on Walkabout Northern California and inn to inn hiking in California. Thanks to Sunset for supporting human-powered travel! The digital version of Walkabout Northern California – Hiking Inn to Inn and individual digital guides are now available from WalkaboutCalifornia.com. Load a guide on your smart phone or electronic reader, or print it out and hit the trail. The digital versions come with beautiful color photographs. Buy an individual digital guide and receive a free gift, the introduction to Walkabout Northern California – Hiking Inn to Inn with helpful ideas about planning your trip, what to pack, how to stay safe, great books, and more. Walkabout Northern California – Hiking Inn to Inn, published by Wilderness Press, will hit the bookstores in April. Pre-order the book now at WalkaboutCalifornia.com, and receive a free digital guide right away to an individual inn-to-inn hiking vacation of your choice. Then, look for your signed copy of Walkabout Northern California in the mail in early April. The book, Walkabout Northern California – Hiking Inn to Inn, features twelve inn-to-inn hikes with stories of the places you’ll journey through; detailed routes; transportation advice; maps; and contact information and reviews of inns, B&Bs, hotels, hostels, and dining to make it easy to plan your inn to inn hiking vacation. Each chapter also includes a descriptive guide to the trails and towns you’ll enjoy along the way. Beautiful Northern California weather is right around the corner. It’s time to start planning your inn-to-inn hiking vacation for this season. Pre-order Walkabout Northern California – Hiking Inn to Inn. We launched the WalkaboutCalifornia.com website in March, and it’s been met with a groundswell of excitement about hiking inn-to-inn. Thousands have visited the website from 39 countries. Now that summer is here, we are hearing from hikers who left their cars behind and explored the California wilderness at two miles an hour, ending each day at an inn or B&B for a good meal, a comfortable bed, and a glass of wine. If you’ve taken a Walkabout California this season, please share your stories with your fellow travelers on the walkabout discussion forums. Thanks to everyone who has spread the word about the joys of California inn-to-inn hiking! Sunset Magazine features Walkabout California in its current July issue. Check it out on page 15 or click here. Rugged mountains, alpine lakes and streams, deep glaciated canyons, a lush hot springs valley, and spectacular hydrothermal landscapes - sound good? Take a walkabout Lassen Volcanic Park. 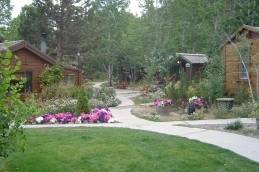 Plan to stay a few nights at Drakesbad Guest Ranch, selected by Frommer’s as one of its worldwide “Top Destinations for 2009.” The new guide has two walkabouts through this enchanted wilderness. Sign up for the Weekend Sherpa newsletter and receive weekly ideas for hikes, bike rides and other outdoor adventures in Northern California. Only a few researchers can step foot on the rugged Farallone Islands, but you can check out the action on the new Cal. Academy of Sciences’ webcam. Visit these sites and other resources for inn to inn travel at the Walkabout resources discussion. Our very first walkabout was in the Cotswolds in central England – very civilized – hiking country lanes and on the edges of farmer’s fields, fish and chips for lunch at a village pub, high tea in the late afternoon, and a cozy inn to spend the night. Visit the Walkabout California discussion on Hiking Inn to Inn in Europe and read about Michael and Gerlinde Marti’s amazing 500 trek on the Via Claudia Augusta Roman route through Italy, Austria and Germany, and the adventures of Nancy Reynolds in Northern Spain on the El Camino de San Diego. Nancy is the host of the Point Reyes hostel, featured in our next Walkabout California. Have you taken a European inn-to-inn hike? Join the forum and share your experiences with the Walkabout California community. a great site... found you thru Sunset Mag.